Home The NewsMill Curfew-like restrictions imposed in Kishtwar after firing in hospital. 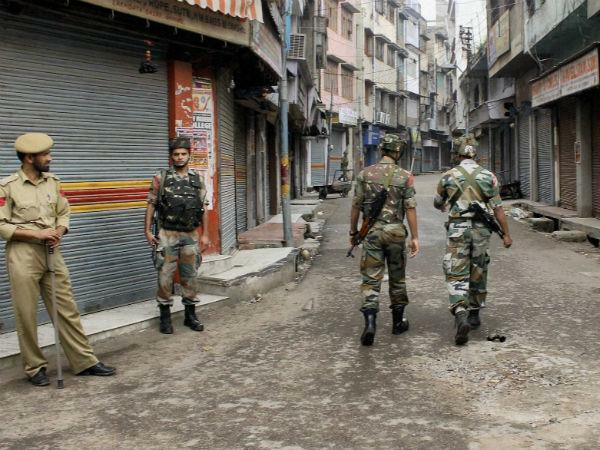 Curfew-like restrictions imposed in Kishtwar after firing in hospital. Authorities Tuesday imposed curfew-like restrictions in Kishtwar town after the firing incident at district hospital which a cop was killed and medical assistant was injured. Reports said gunmen barged inside district hospital Kishtwar and open fire on medical assistant Chandrakant Singh, leaving him critically injured while his his personal security officer Rajinder Kumar was killed. Soon after the incident district administration imposed curfew like restrictions in Kishtwar town and it’s adjoining areas.Reports said restrictions were imposed as a precautionary measure to maintain law and order after protests erupted in the town. Meanwhile, Singh was being airlifted to outside state for specialised treatment. He is reportedly associated with RSS. Previous articleBrief exchange of gunfire in Tral forest. Next articleArmy refuses to ply convoys only on Sundays, Wednesdays.